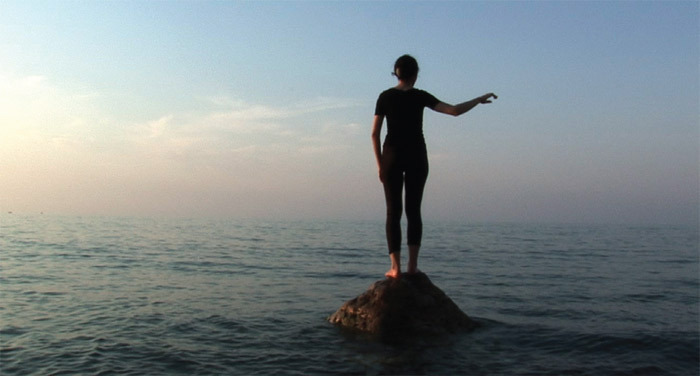 Gabriella Mangano and Silvana Mangano, Monument for Sea, 2011, still from a color HD video, 3 minutes 55 seconds. Gabriella Mangano and Silvana Mangano are identical twins. This is not at all incidental to the hypnotic charisma of their videos, which have in the past often been documentations of joint actions. Among these is if . . . so . 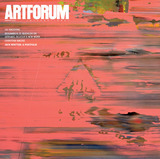 . . then, 2006, in which the artists, seated face-to-face, reach past each other and draw in unison. Their sheer physical similarity, calligraphic gestures, and mutenessplus the simple documentary cinematographyproduce the overwhelming sense of a single artist doubled. Many of these videos were filmed in austere black and white. Indoors or outdoors, against the flat background of a studio wall or silhouetted against a rocky landscape, the Mangano sisters in these works look concerned, like characters from an angst-saturated Italian art-house movie of the 1960s. In short, the two exude carefully paced depth, grace, and gravitas.